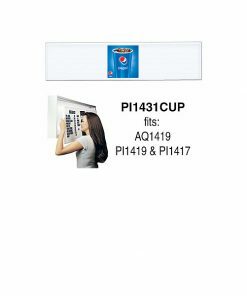 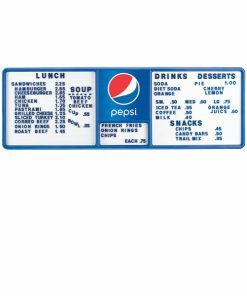 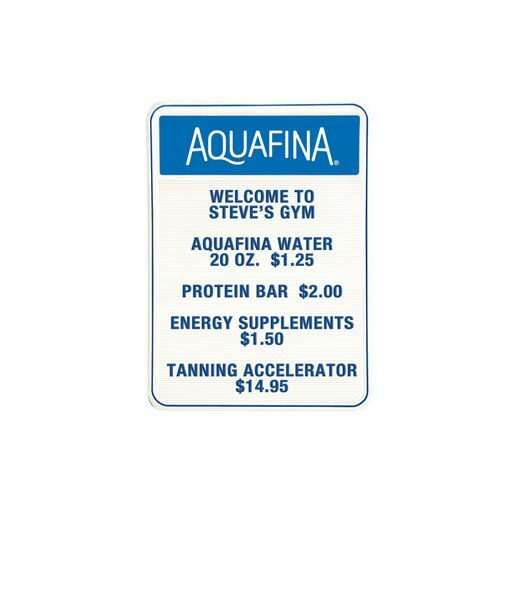 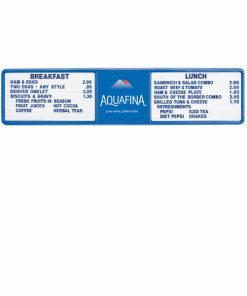 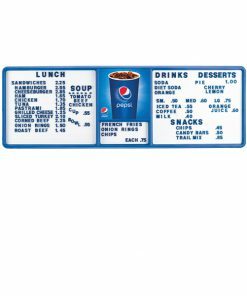 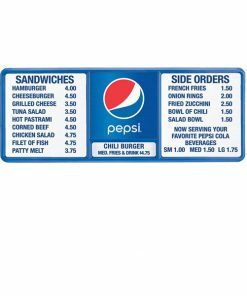 Aquafina arc white non-illuminated track style menu board. 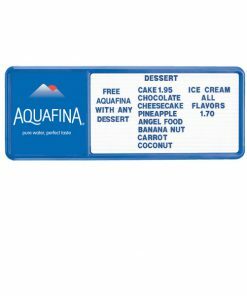 Includes 1 blue 3/4″ Letter & Numeral Kit per board in each carton. 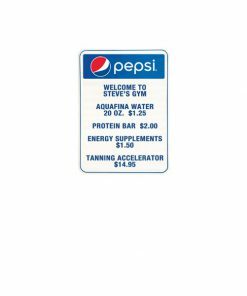 Sold in Carton of 10 ($21.95/ea) or Sold Individually.